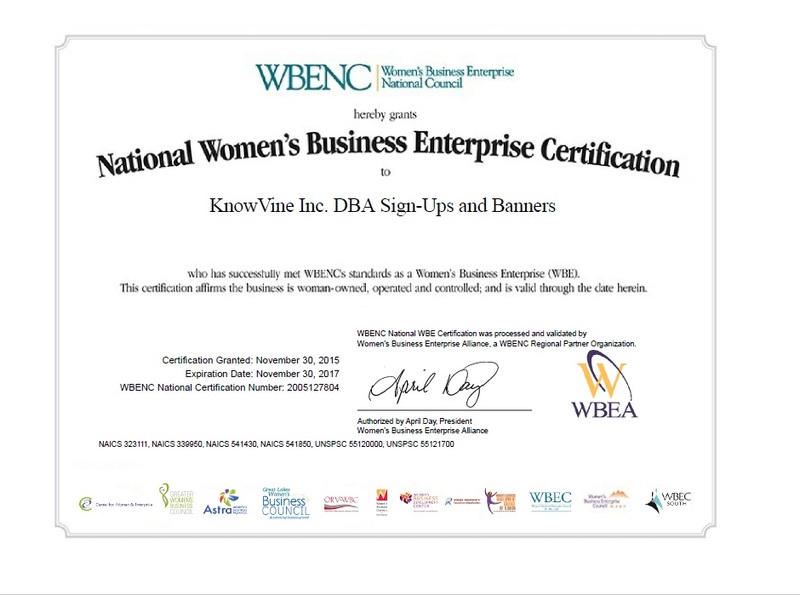 Sign-Ups and Banners received the Distinction Award from the Better Business Bureau at the annual BBB Awards Luncheon for the 3rd year in a row! The award recognized Sign-Ups for its achievements and commitment to overall excellence and quality in the workplace. 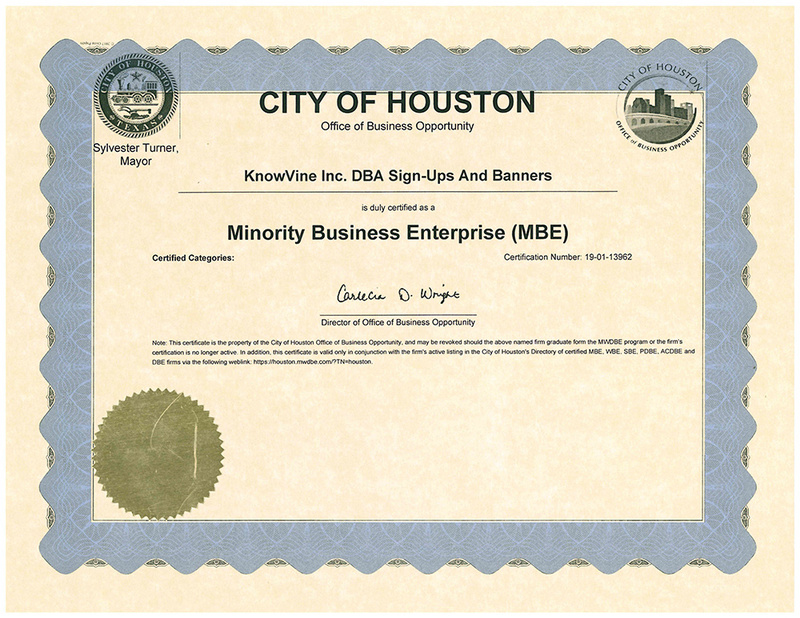 Sign-Ups joined the BBB in 2011 and has been awarded each year. Sign-Ups won the Award of Excellence in 2011, 2013, 2016, 2017, 2018 and received the Pinnacle Award in 2012, 2014 and 2015. Sign-Ups maintains an A+ rating with the BBB. Sign-Ups sign company provides sign services, banners and other printed materials to customers worldwide. From vehicle wraps and car magnetics to all-purpose signs, Sign-Ups and Banners Corp. prints it all in its Houston facility, often with same-day turnaround. About Sign-Ups and Banners Corp.
Sign-Ups is a full service sign, banner, marketing and promotional products company. In the sign business since 1990, it has its own production facility in central Houston. Products include signs, banners, lettering services, site maps, floor graphics, decals and labels, vehicle wraps and much more. The Sign-Ups team prides itself on its dedication to customer service and quality products. 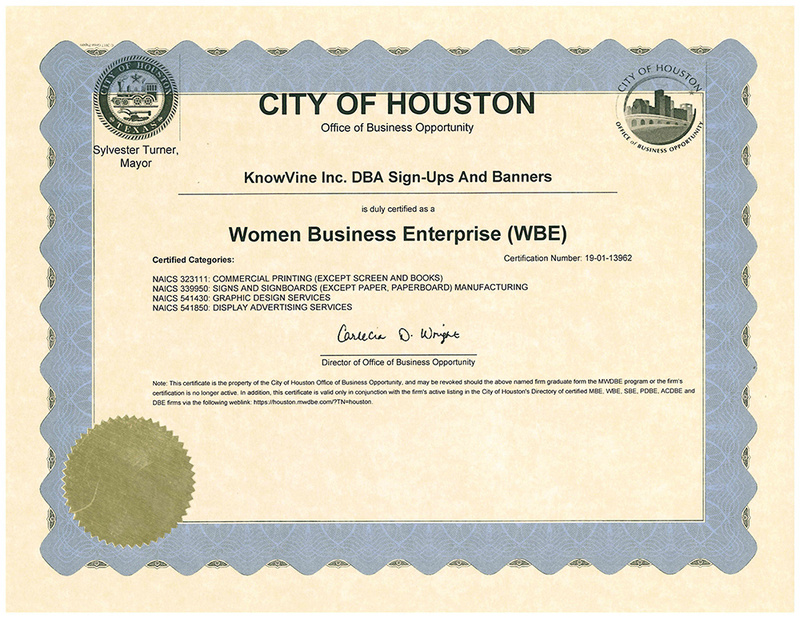 For more details, please call 713-682-7979 or visit www.SignUpsandBanners.com.